Growing up on the fringes of our system, infused by a somewhat chaotic past that propelled me to the extreme limits of human complexity, I was forever confronted with the various social castes of our society but, above all, with the multifarious aspects of our human species, which would become the epicentre of my research. After observing the world in this way for many years, I eventually began to act, contemplating this world as a vast stage that was just waiting to be occupied, to be reclaimed. My artistic proposals were intended to be analytical studies of various strata of reality, related to our relationship with the world, with others and with ourselves. But very quickly, humankind established itself as the main subject of my research and curiosity. A subject that intrigues me, one which I enjoy analysing and dissecting its every layer through particular processes. A subject that I provoke, stimulate, put under pressure, where I then study a myriad of its stimuli, pressures, where its complexity becomes a heavenly canopy in my own laboratory. Each proposal embodies the ultimate desire for dialogue, communication that strikes a chord with the research, analyses and works presented. 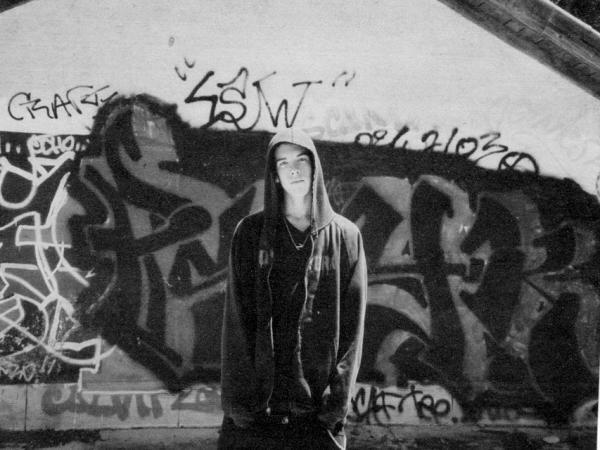 Myself, young teenager back in 2003, a period where I was heavily involved in the hiphop culture and graffiti in particular.